We have been hearing rumors and promises around Harley-Davidson’s all-electric motorcycle for years. Now, just in time for CES 2019, they have finally unveiled it’s official pricing and performance specs. The LiveWire will be available for 2019 as promised, and interested buyers can place a pre-order at H-D.com/Livewire. The brands first American made electric motorcycle will start at an eye-watering $29,799. While we don’t know the exact size of the battery pack that’s being used, its estimated all-electric range has been set at 110 miles. For comparison, the Zero SR offers 120 miles of range with a 14.4 kWh pack. As the LiveWire is slightly heavier than the SR (460 lbs), the range difference is negligible. A regular household outlet will give approximately 13 miles of range for every hour charged. A Level 3 DC fast charger however fully recharges the bike in less than 60 minutes. It will be faster than the SR, with a 0-60 mph time of 3.5 seconds. Without a clutch or conventional gearing, riders will have instant torque available at any speed. 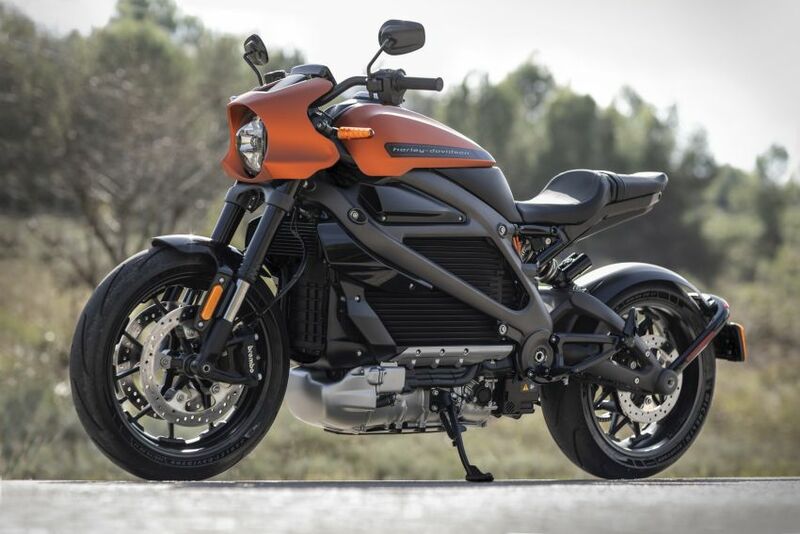 Harley-Davidson has said that at least one dealership in all 50 states is expected to carry the Livewire and they are still in the process of determining allocations. 2019 is looking to be a revival year for the brand and the LiveWire is an important step forward. Last edited by Harley-Davidson Livewire News; 01-08-2019 at 03:24 PM. Not quite sure what Harley was thinking with this kind of pricing. I new that it was going to be expensive, but I didn't think Ducati V4 expensive. The Zero SR can be had for less than half the price and the top spec model outlines a 220 mile range. I always had a feeling it would be positioned well into the premium range. This should be the first Harley to attract people from brands like Ducati. Since the Livewire is likely to be limited production, it's only going to be bought by enthusiasts anyways. Think you'd be surprised at how many people are willing to spend that kind of money on a next gen bike wearing the HD name. With the rivals in the segment, they could also find the exact opposite to be the case. If it was the first bike of its kind, sure it would warrant a higher buy in, but the fact is that competitors have been developing similar platforms for years now. Very soon Ducati will be stepping into the ring with a range of electric bikes, their CEO even said that "the future is electric". Harley just happens to be the first. With the EV premium that we are seeing here, who knows that they will mean for an electric under the Ducati brand. I don't see the point of buying an electric bike when just a few grand more could get you into a Model 3. Harley did do well with the street segment which sort of shows a configuration people would gravitate towards. Brought out as an electric bike I bet it would sell. We are years away from Tesla ever delivering on the $35k entry level model, and it could never happen. The most economical new EV's are looking to come from VW's I.D sub brand. They've already suggested pricing similar to that of their diesel models. Tesla isn't missing out anyways unless you throw in hybrids. Competition goes as low as the Bolt and Volt.